My name is Rob Taylor, and i am a professional Forex trader and investment manager. I have been trading for 12 years, and I live in the UK. I teach new and experienced traders how to make money from Forex trading. For more information on the training program please click on this link. 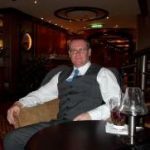 Please take the time to have a look around my site, and if you have any questions about how i can help you to become a successful, profitable Forex trader please feel free to call me on 07939 42 7000, email me rob@forextradingpro.co.uk, or live chat with me.